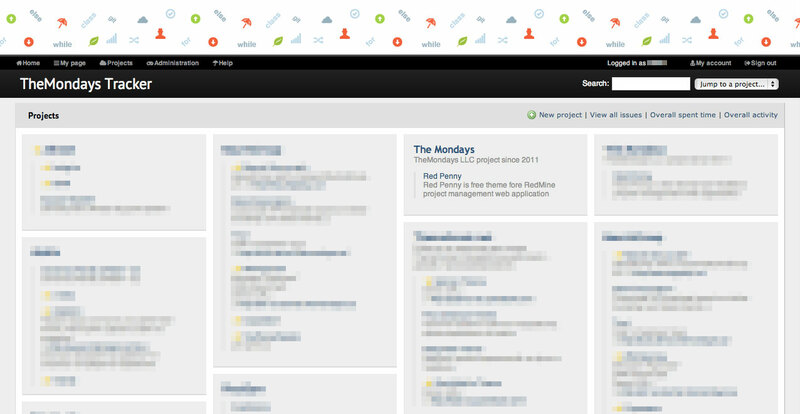 This is a directory of the available themes for Redmine, sorted with the most recently updated ones first. The information listed in the respective theme entry fields is described in the legend at the end of this page. 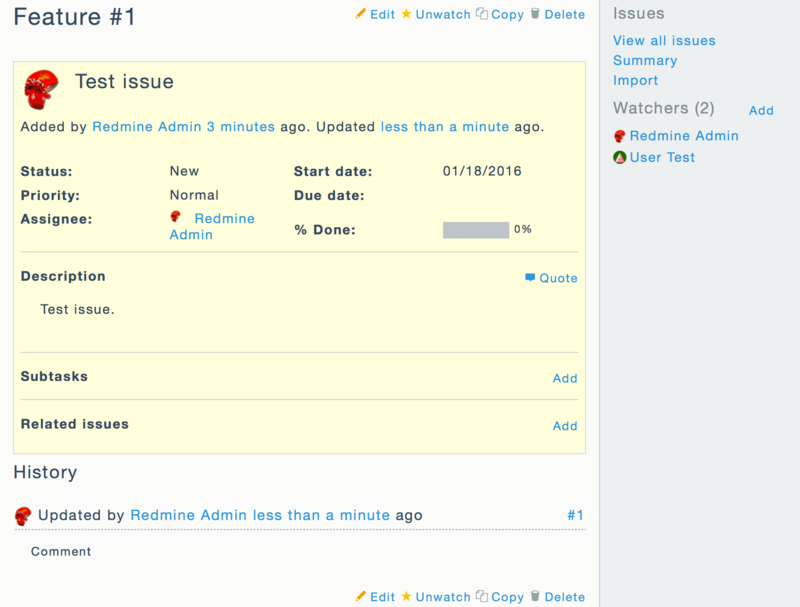 General information about Redmine themes and how to install them into your Redmine can be found on Themes. 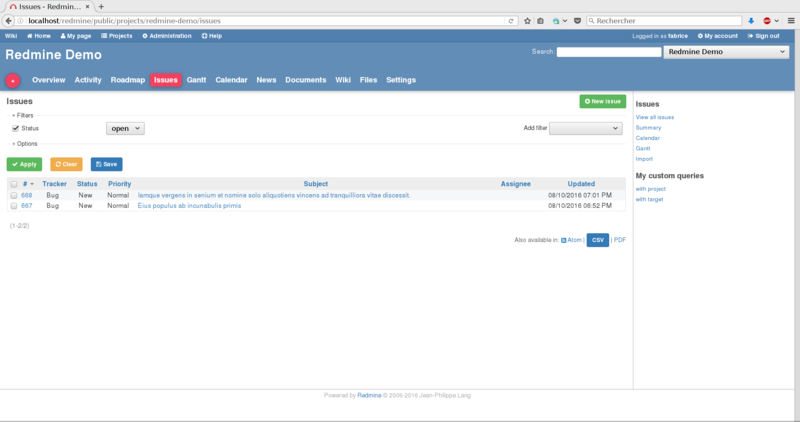 RedWord for Word Press - a layer, to allow use of any Redmine theme directly. Themes are sorted in alphabetical order. 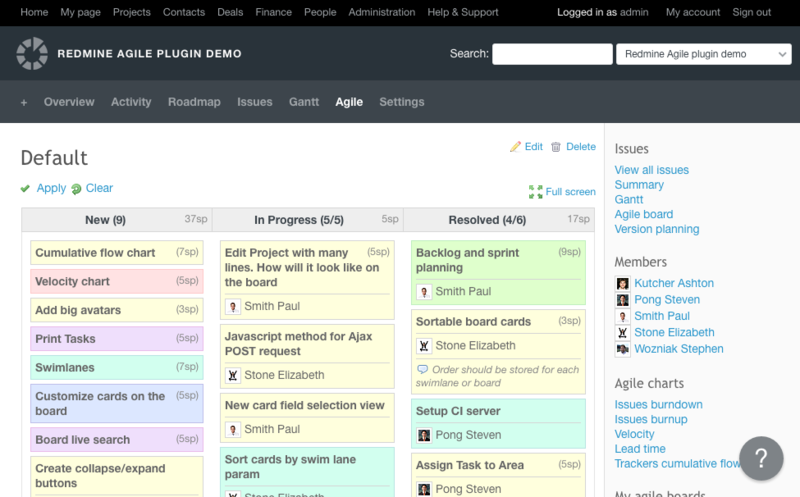 Abacus Office mobile theme for Redmine. 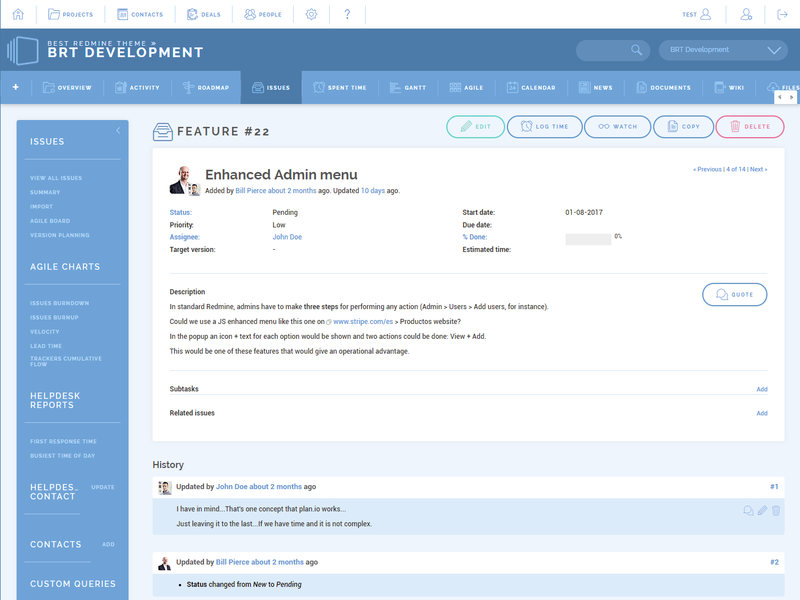 A theme focusing on work effectiveness with continuous development. 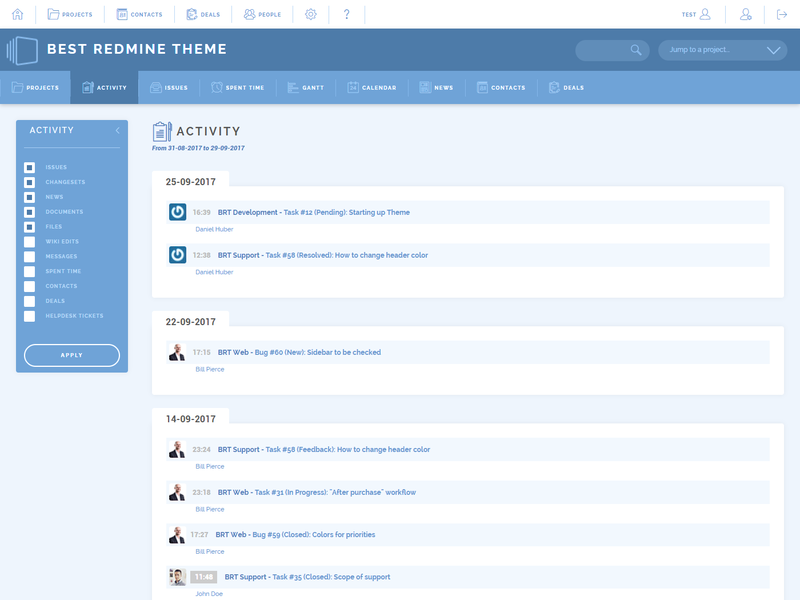 Boostmine is a new powerful, responsive and customizable premium theme for Redmine. 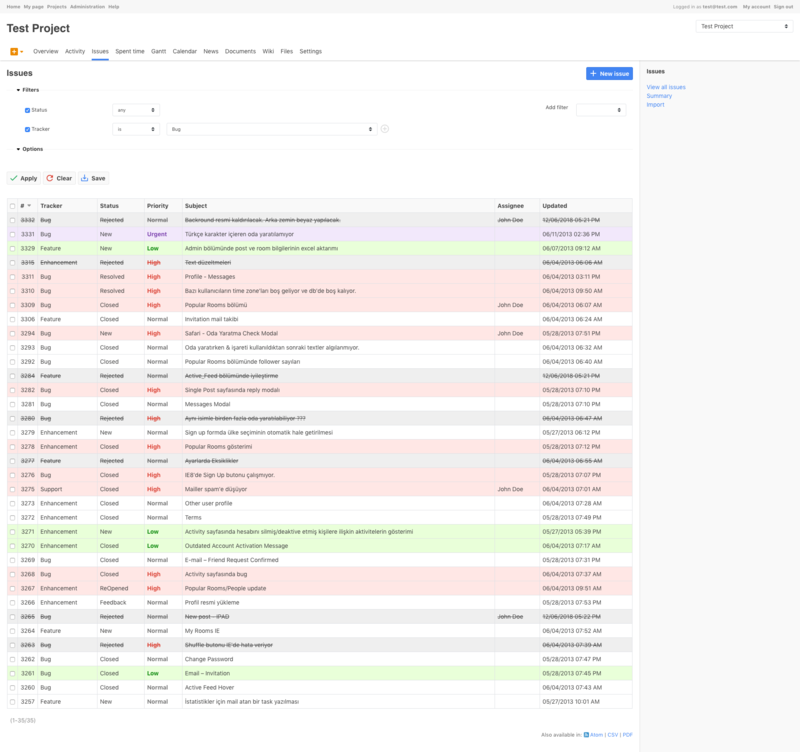 PurpleMine2 : Modern, and customisable: offers eg hideable sidebar, exhaustive color codes in issue list. 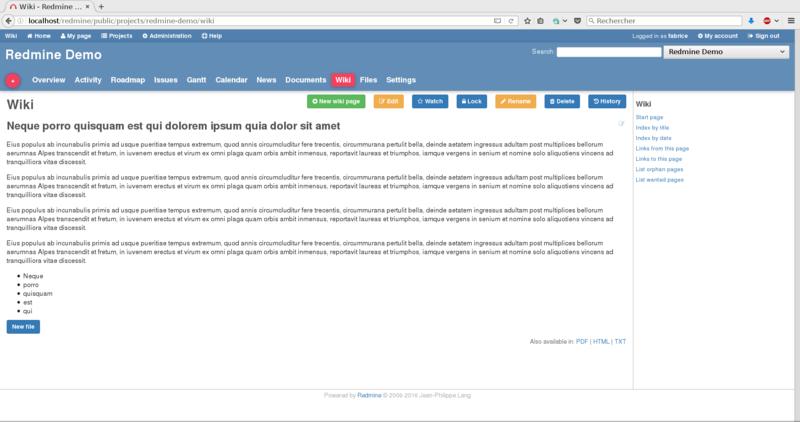 Written in SCSS, uses normalize.css and some parts of Bootstrap like mixins, structure, and stuff. Compatible with: Redmine 3.0+ - 4.0. Browsers: IE10+/Edge, latest Firefox and Google Chrome (others were not tested). 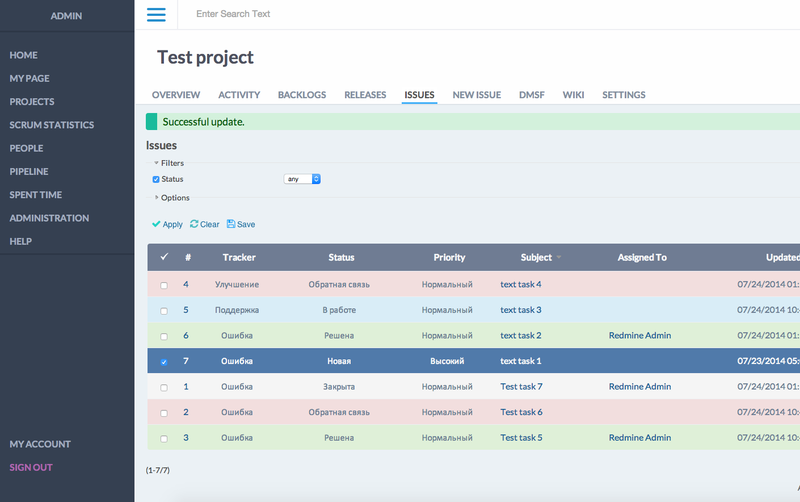 "Project round blue" is a high quality design, responsive and special theme for "Redmine". 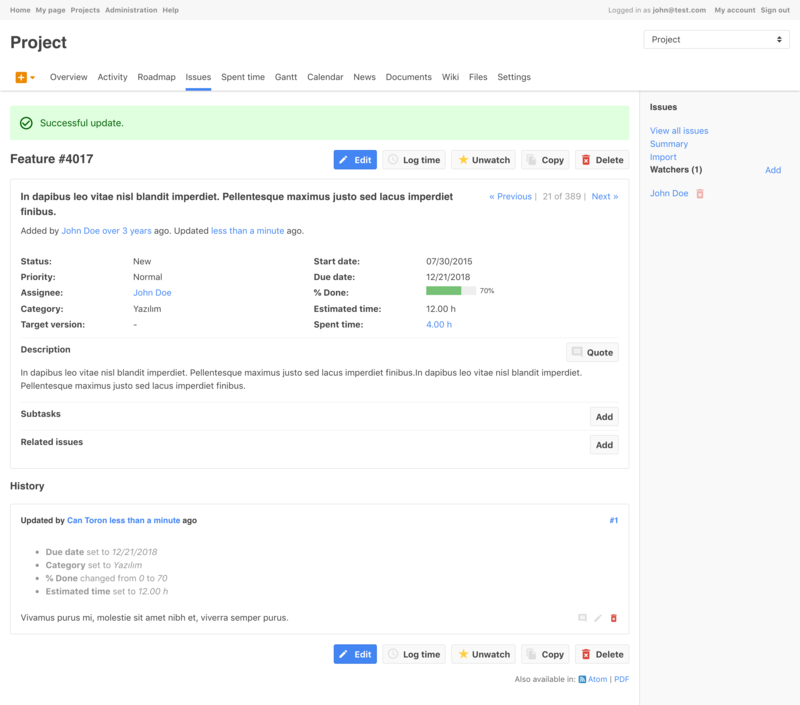 Latest release: Ver1.0.0 - 2018-08-03. 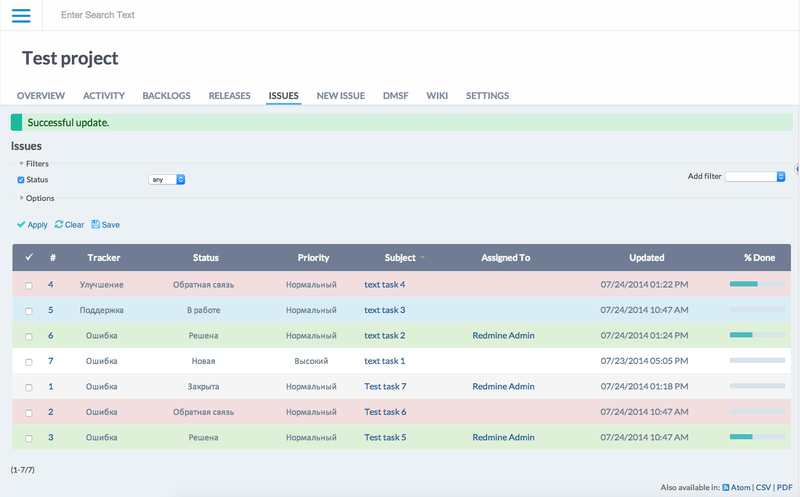 A1 is flat, responsible theme for redmine. 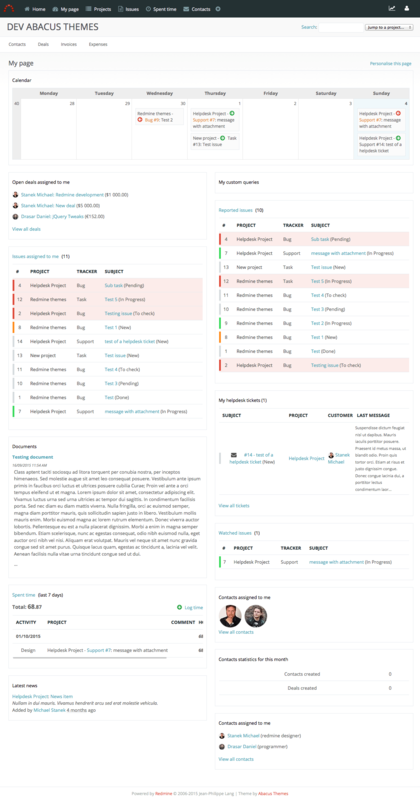 Sass is a theme forked from the vanilla Redmine v3.3 stylesheet and converted to SASS (sources are available). 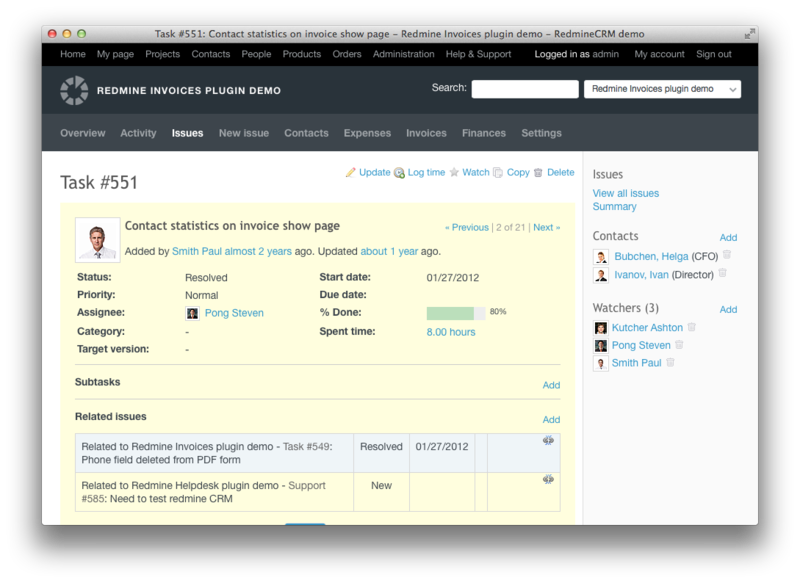 Its purpose is to improve moderately the vanilla theme. Tasks colors from Mantis possible to integrate to most themes (default classic theme). 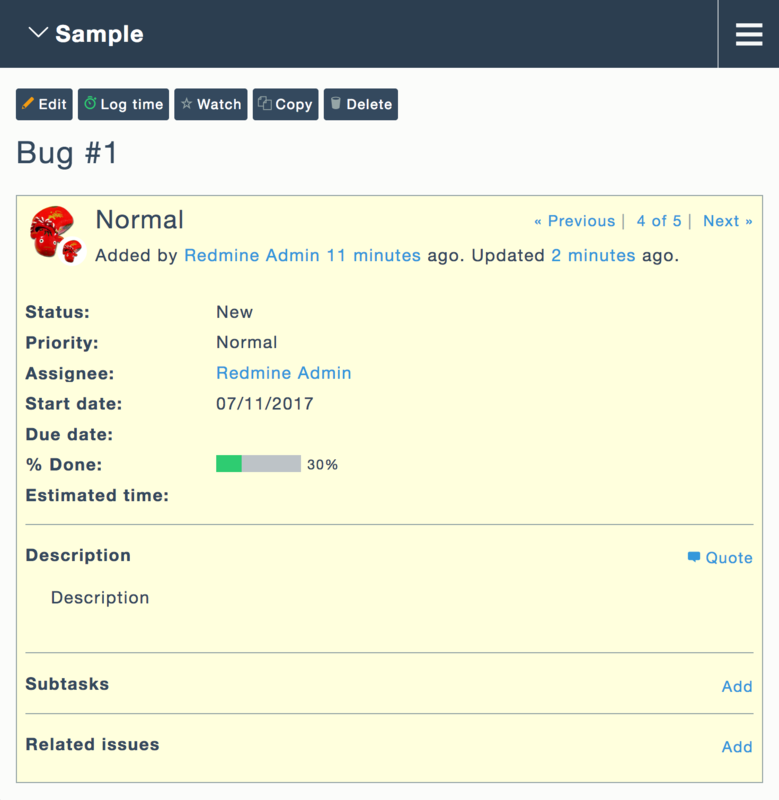 It make your favorite redmine theme with well-understandabe well-established tasks colors bring from Mantis bug tracking system. 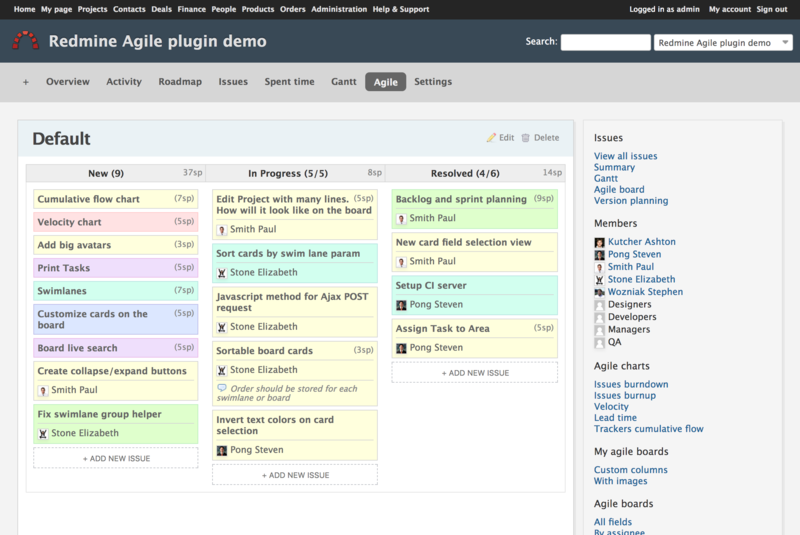 Basecamp-with-icon theme is a fork theme of 'Basecamp theme' (above one) of 37signals® Basecamp® theme. 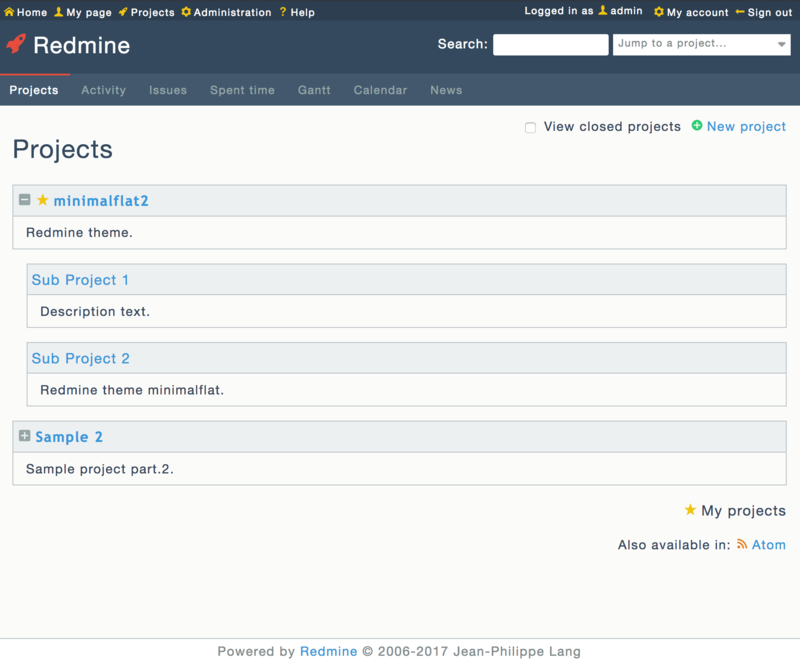 Pixel Cookers is a nice, dark and blue theme for Redmine. (Using more CSS3 and less images: uses LESS, and Bootstrap. 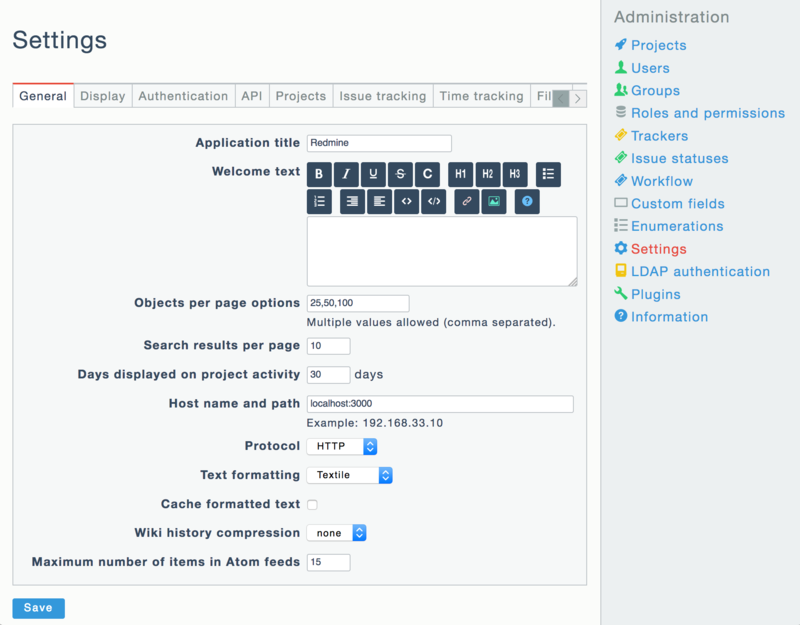 Bootstrap is an overhaul of Redmine using the Twitter Bootstrap theme and jQuery. 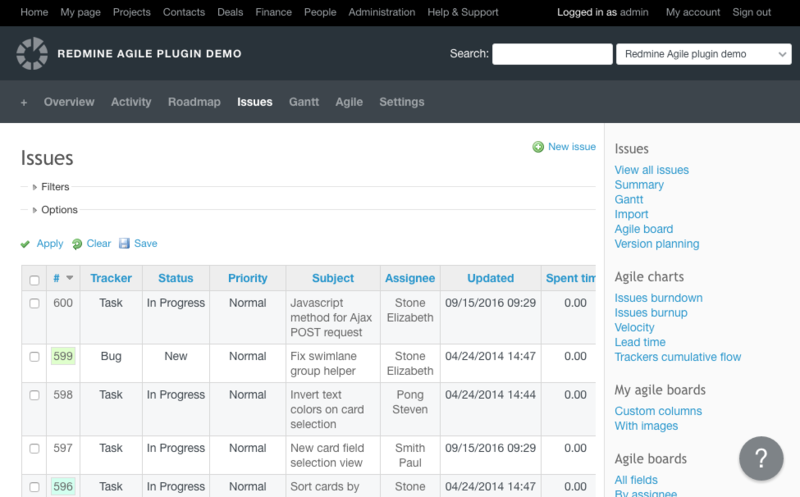 Due to having to override some of Redmine's views, this theme is made available as a plugin not simply a theme. 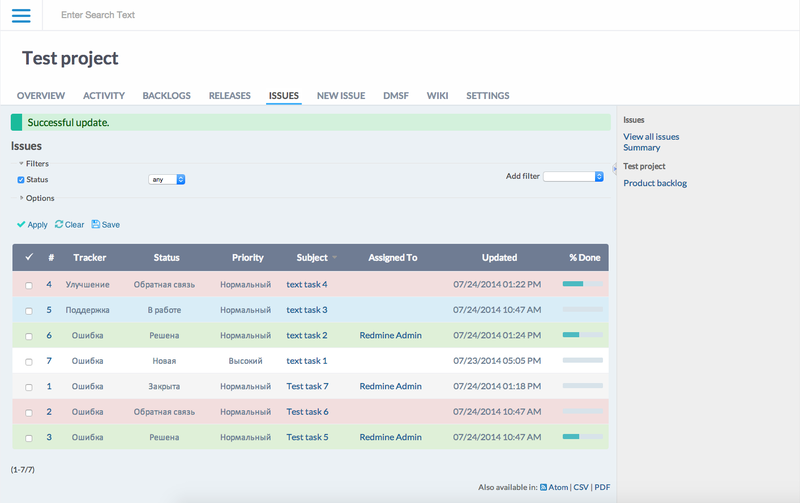 Forked by HE-Arc in 2014 to handle REdmine 2.3 /2.4. 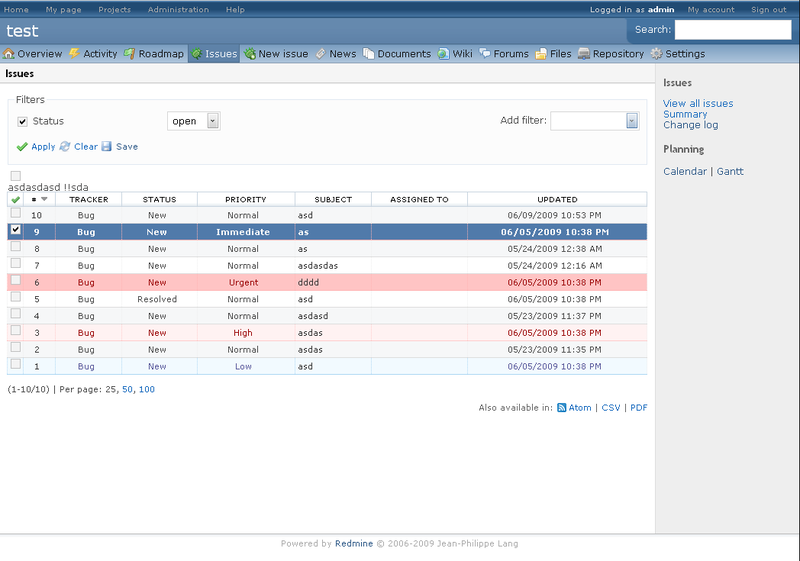 Metro Redmine is a Metro style ( Windows 8 style ) theme for Redmine. Pepper is a sleek, clean, and high tech looking theme, that does responsive-width to adapt to fit on small screens, down to smartphones. Built using SASS, Compass. Red-Andy is a responsive theme, works on mobiles, that combines dark elements and bright boxes, uses CSS3 shadows and round corners: the project menu is right aligned and decorated as tabs. Wiki pages have separate style based on Georgia font. Many elements including avatars, progress bars, code snippets have CSS3 shadows. Most of elements have CSS3 rounded corners. 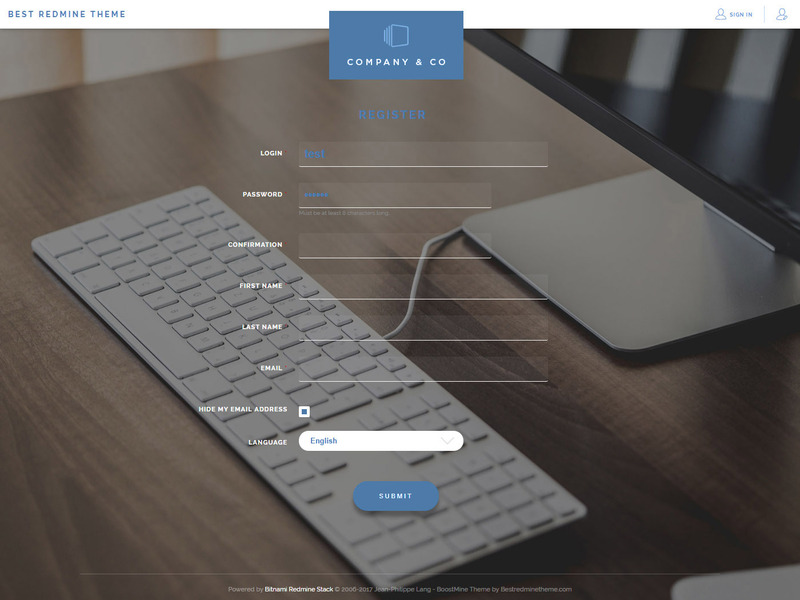 Coffee is a freshly designed soft color palette redmine theme with fixed 1240px width, fixed top menu and nice button styles. 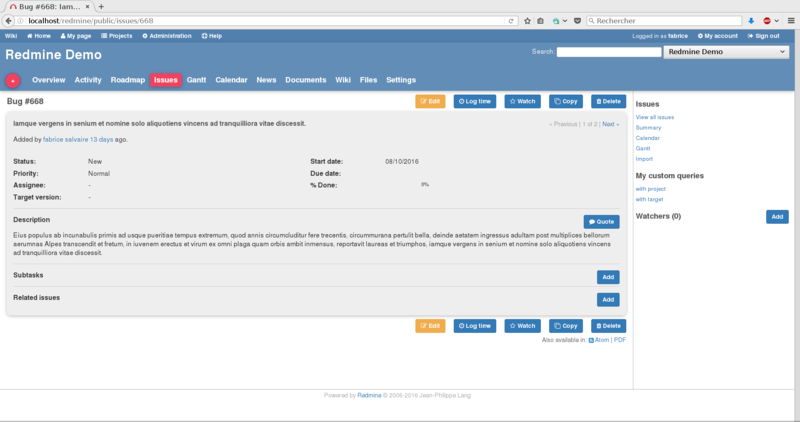 RedmineCRM theme is freshly designed, open and responsive Redmine and RedmineCRM plugins theme with fixed 960px width, top menu panel and nice button styles. 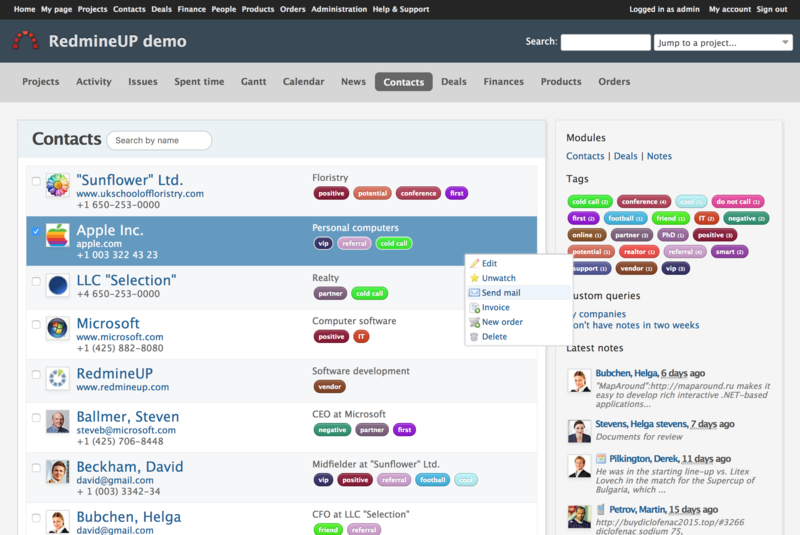 Aurora is a derivative of the default theme, with enhanced fonts and buttons. CM-Red is a Red/ Grey/ Brown Pallet based theme. 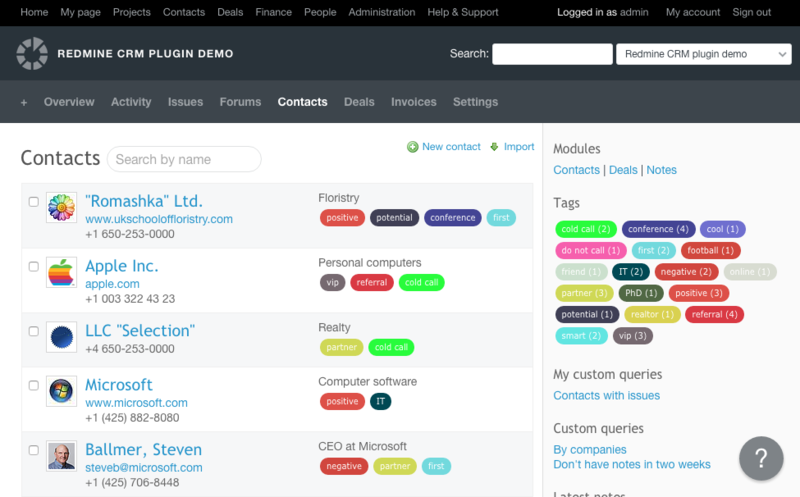 Modula Mojito is finely crafted and very polished theme for Redmine, with predominantly green highlights over a dark background. 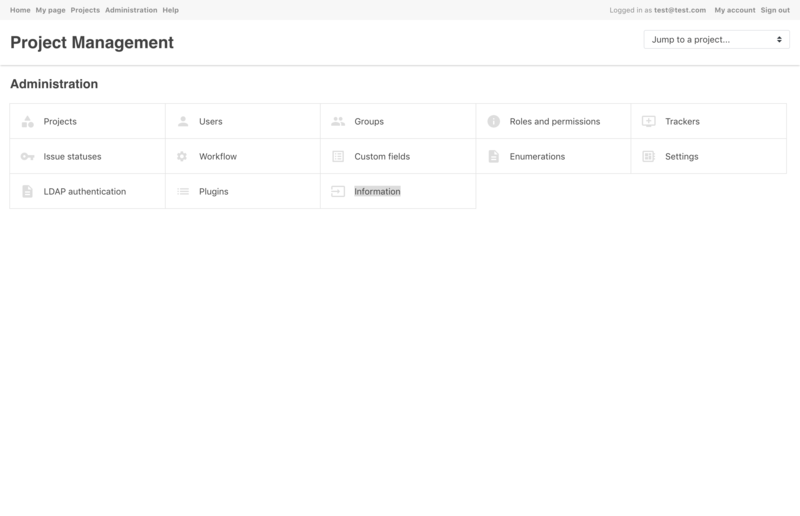 Modula Gitlab is a mashup of Modula Mojito and the standard Gitlab theme. Theme is orphaned - no information on what the theme looks like, or anything. The website is offline, Andalucía Gráfica. AG themes are no longer online or supported. I'm working on some new version with other name. Stay tune for more info. Sorry for all! 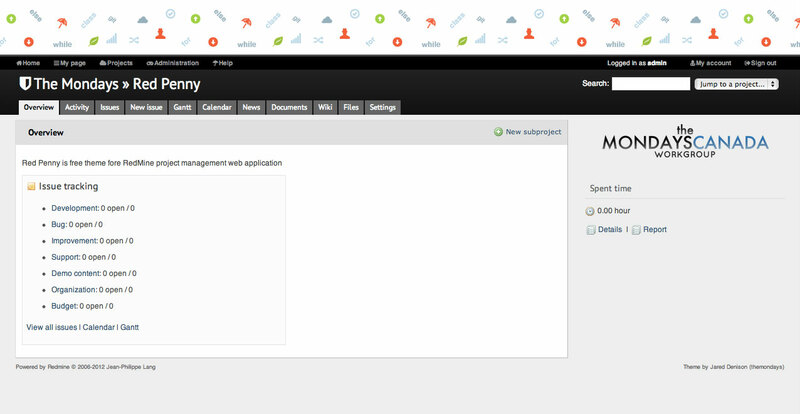 AdminsQ3 is a modified version of the Libernix-redmine-ecogreen theme. 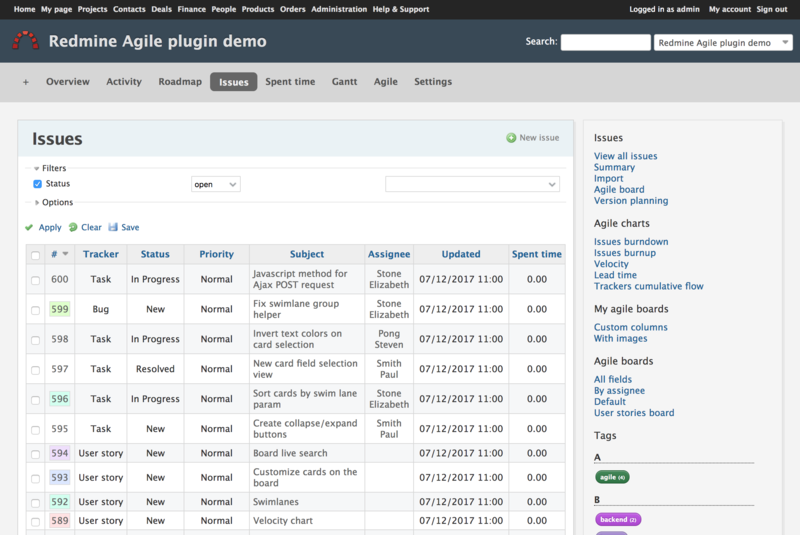 Basecamp is a Redmine-port of 37signals® Basecamp® theme. 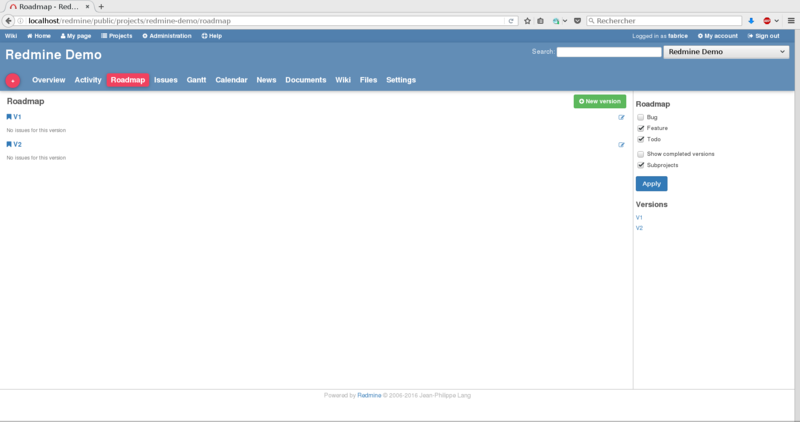 basecamp-persian is an RTL version of Basecamp theme with some improvements for Persian language. 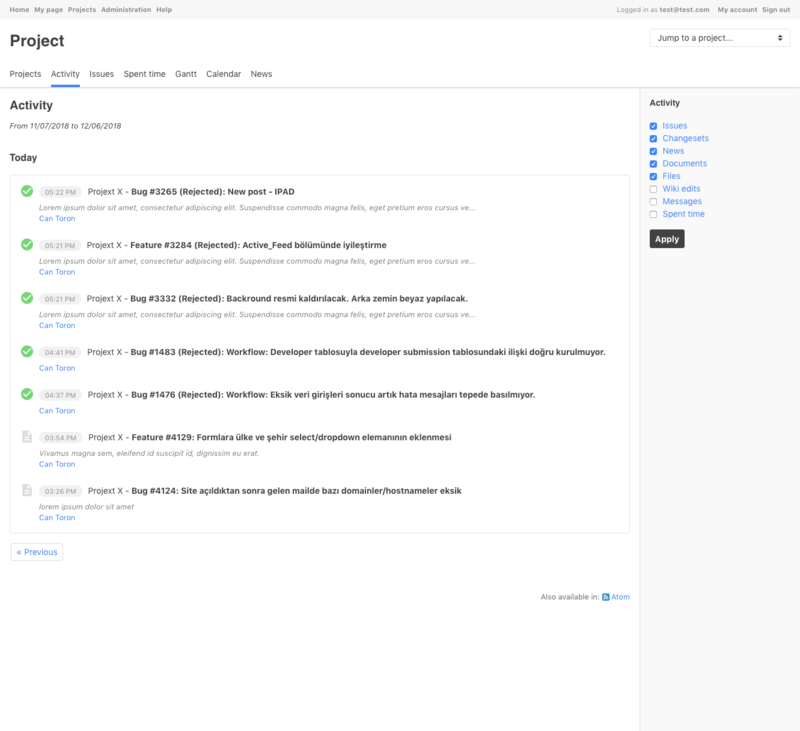 Modula Martini is a plain and clean, free to use, theme for Redmine. 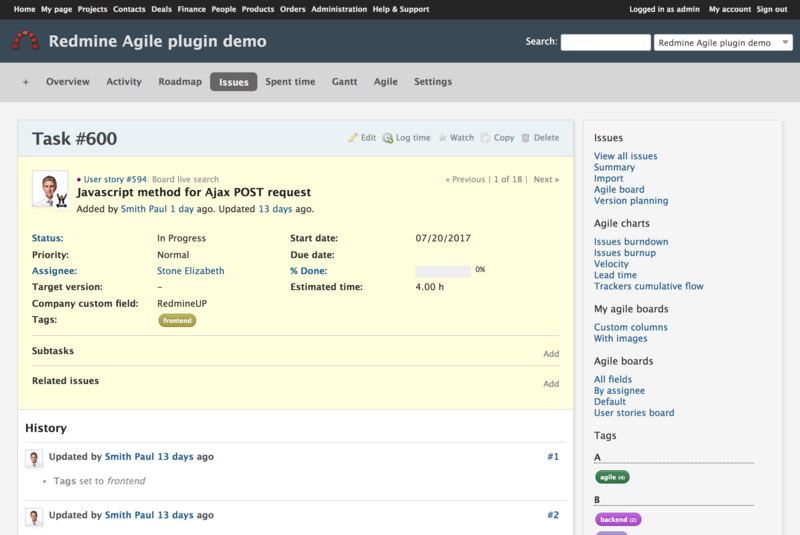 Squeejee is a dark-theme showing Redmine's theme-capabilities. 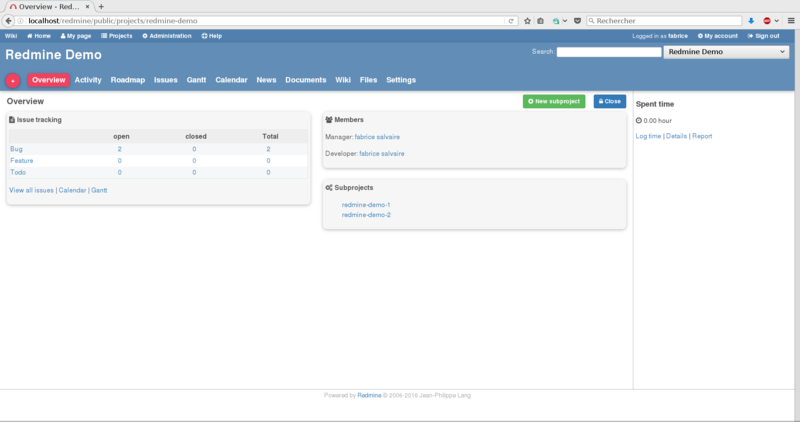 Watersky is a blue theme based on the Redmine Alternate theme. 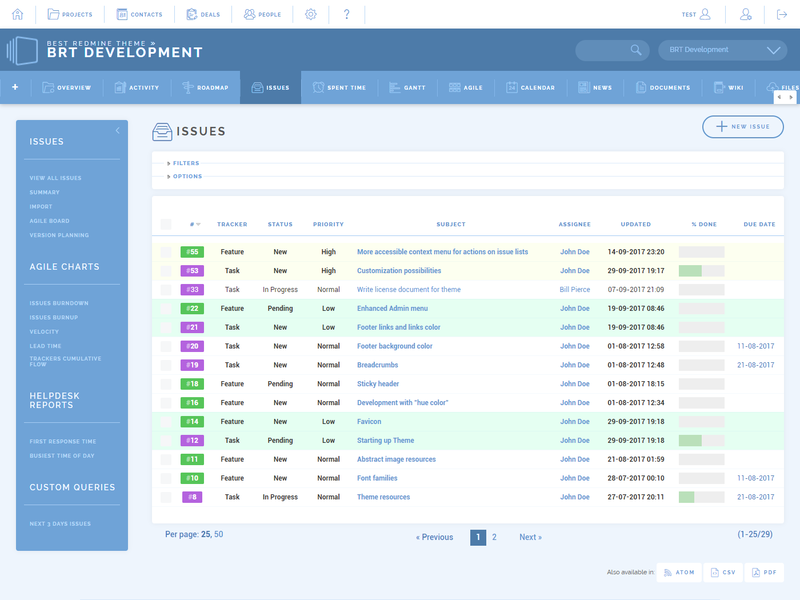 Classic theme is a the more classic-looking redmine theme (included). 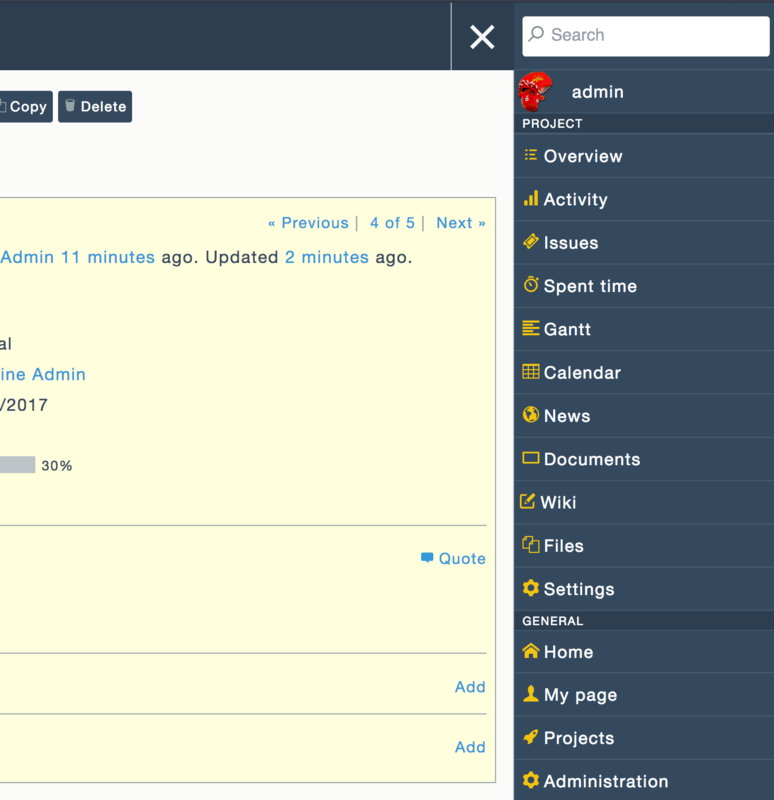 Default theme is the default Redmine theme (included). 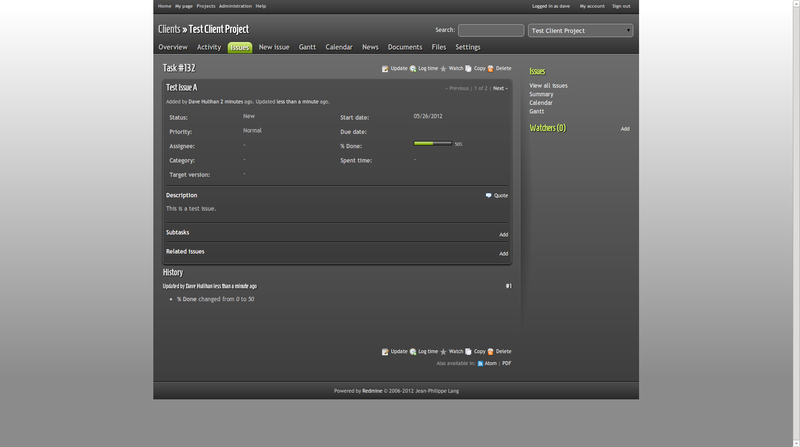 Alternate is a derivative of the default theme including issuelist-colouring based on issue's priority (included). 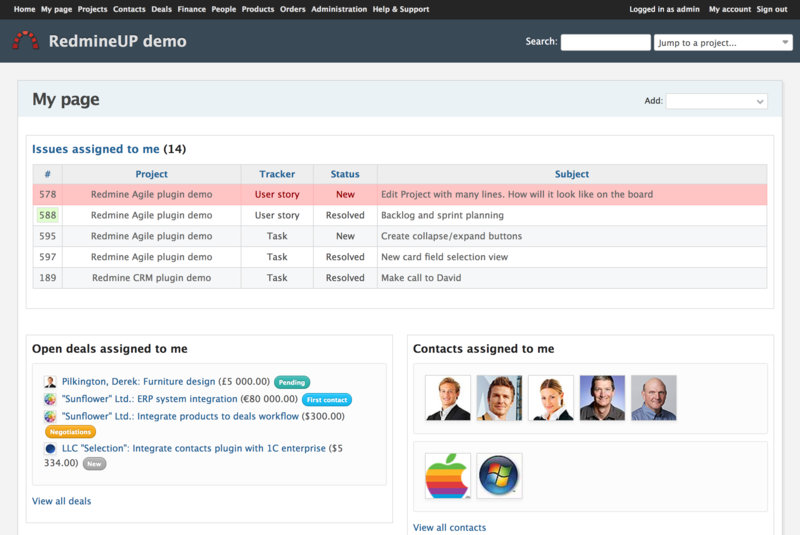 * <<ThemeDefault|Default>> the default Redmine theme (included).